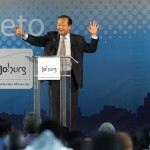 Jake Frankel, Executive Editor for The Prem Rawat Foundation, recently visited Soweto, South Africa. This is Part 2 in his series of reports about the impact of the Peace Education Program (PEP). Read Part 1 here. 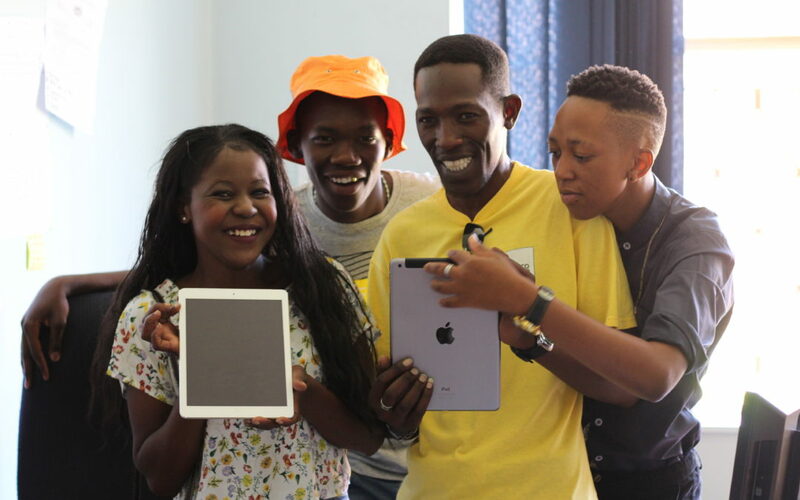 I wish TPRF donors from around the world could have been with me today to see the smiles on the faces of the Peace Education Program (PEP) “Super Team” members when I delivered them the three iPads they requested. Their eyes lit up at the sight of them, and I could tell their heads were already abuzz with all of the different ways the devices will help them make the PEP available to more people. 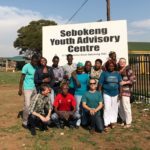 It’s incredible what the volunteers on the Super Team have already accomplished with very few resources and limited access to the Internet, offering as many as 20 peace education workshops per week. The iPads are going to greatly help them with administrative work as well as outreach and communications. 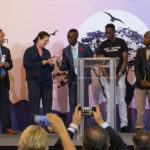 And they will also help them share photos, videos, and stories about the impact the program is having in their community, fueling even more interest. As is so often the case, TPRF was able to respond to their need because of the generosity of its donors. In this particular instance, the iPads were donated to TPRF by an individual who would like to remain anonymous. It’s just one example of how every TPRF donor, in one way or another, is making a difference in people’s lives every single day. It is a great privilege of my job that I often get to have a front row seat to see that difference—and it was an honor to represent the organization in handing over the iPads to these very able hands. After taking some time to set them up at the de facto PEP headquarters in Ernest Leketi’s office at Johannesburg’s Youth Development Department, we took a short ride through the bustling neighborhood to the office of Dr. Patrick. The doctor’s office is strikingly marked by a street corner sign advertising “SURGERY” in capital red letters, but we soon learned that any surgical needs are now outsourced to a nearby hospital. Dr. Patrick is a general practitioner and the health coordinator of a local NGO. He welcomed us warmly into his office, sharing thoughts on local medical problems and the benefits of PEP. Dr. Patrick first heard about the PEP from Ernest, and decided to attend the workshops. He had moved to Soweto in 2013, fleeing his home country of the Democratic Republic of the Congo, which has been wracked by civil war since the 1990s. Like so many other people in that troubled nation, he was the victim of thievery and witnessed countless acts of violence and destruction. He saw great potential in the course to help his patients with a long list of ailments, and has been prescribing PEP ever since. 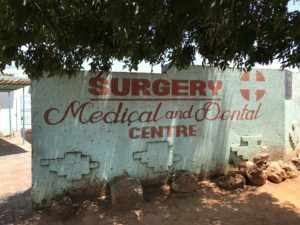 Every day that he offers the workshops he hears testimony of how they are helping his patients, he says. According to the doctor, PEP is helping people overcome depression, anxiety, stress, insomnia, and other disorders. He finds that blood pressure levels often drop to healthier levels as people progress through the course and develop a sense of calmness. By helping patients discover a feeling of inner strength and hope, PEP is even helping some who are trying to wean themselves off of Nayaope, a popular and highly addictive heroine-based street drug. “I’m very happy I heard about the Peace Education Program,” concludes Dr. Patrick, noting that he has been sharing his findings with colleagues and is planning to discuss the benefits of PEP with a larger group of medical professionals at a workshop later this year. During the interview, members of the Super Team had their new iPad cameras rolling, excited to document his perspective and share it with as many people as possible to help spread the word about the benefits of peace education. 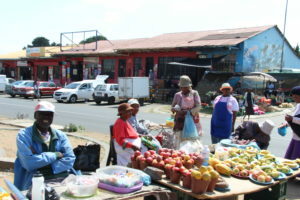 See more news and perspectives from South Africa here. Thank you for sharing this inspiring blog. We hope to start running PEP introduction events in Oldham, Lancashire, England, very soon, as part of our second Oldham Peace Week during the last week of June 2017!